All the looniest, wackiest, zaniest grossest jokes, games, puzzles and pranks a kid could ever want in one fun book! * Lots of jokes . . . like this one: Q: Why do gorillas have big nostrils? A: Because they have big fingers. 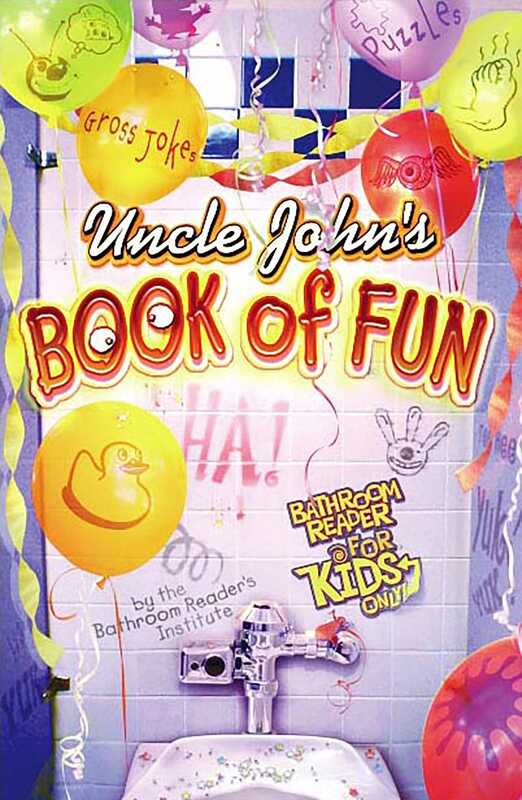 Book Cover Image (jpg): Uncle John's Book of Fun Bathroom Reader for Kids Only!